It's not often at the moment that somewhere makes such an impression on us that we make plans to return within 3 weeks of our initial visit. Date nights aren't as frequent as they once were due to the toddler tornado, so when they do come around there are usually a raft of places on the waiting list that we want to try. However The Boat Inn made the cut for 2 consecutive date nights - firstly as a birthday treat for me at the end of November and then again just before Christmas. It ticked all the boxes, cosy, relaxed, fantastic food and just a 15minute drive away. 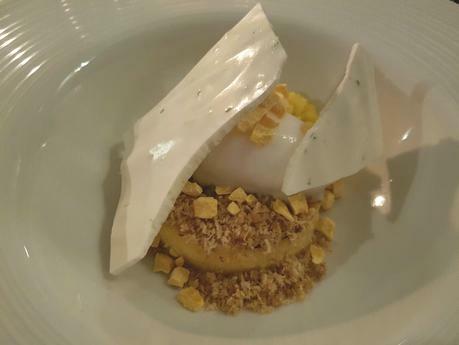 On our first visit we went all out and had the 6 course tasting menu, and on our return decided to try the A La Carte instead. Over the 2 meals there was only one lamb dish that didn't quite hit the spot, and that was still miles better than most things you can find locally! I won't give you an in depth run down of every single dish we've tried over the two meals, even I think that's a bit too much for one post but I will tell you about the highlights - that's still quite a few! 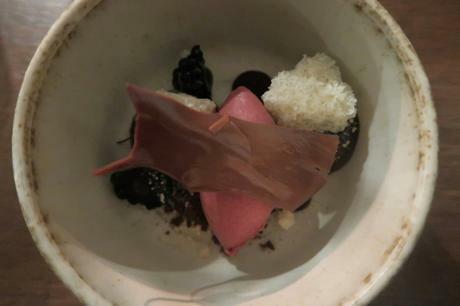 Tasting menu highs had to include the Pigs Head and Burnt Apple snacks, highlighting their nose to tail eating thinking. 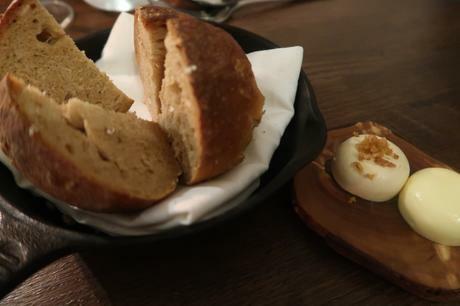 A quick mention has to go to the bread - beer soaked spelt loaf served with their homemade cultured butter and chicken butter. Some of the best bread I've ever had. 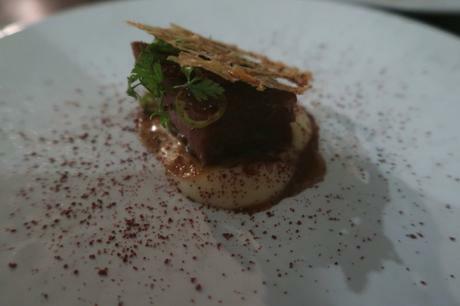 The standout dishes of the tasting menu however were the Venison Saddle with Potato Terrine and Cauliflower and the dessert. 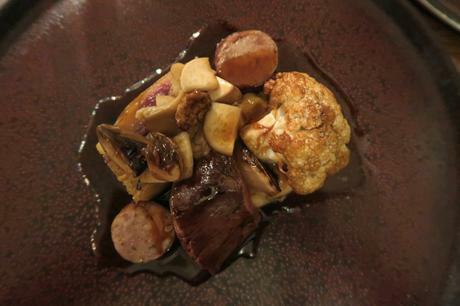 The first sounds simple but the riot of flavours and textures on the plate just left you wanting more and more. 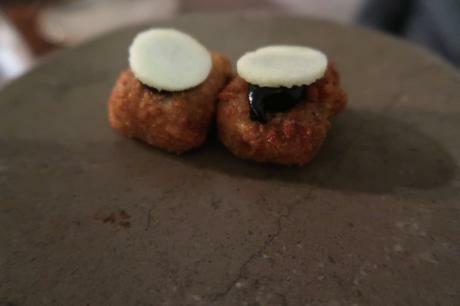 My favourite savoury dish of 2018 by a long way. That was swiftly followed by Chocolate and Blackberry Heaven, which was quite simply heaven! 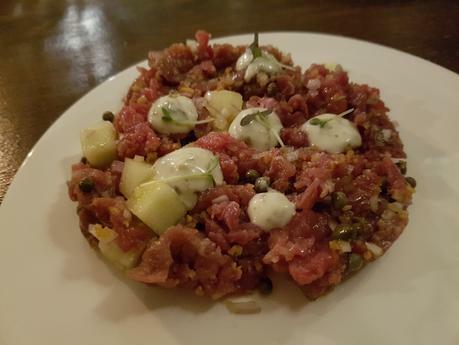 Lee adored the Beef Tartare starter too which had nods to the classic but also with hits of apple and herbs made it another level altogether. Head Chef and Owner Liam Dillon is doing wonderful things in this little bit of Staffordshire so I'd really recommend you come and give it a try as soon as possible, and we look forward to many more meals to come!